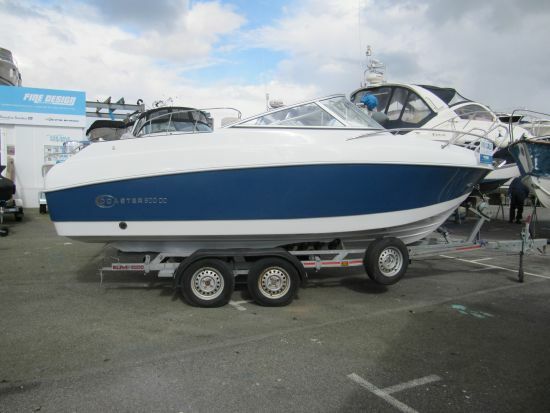 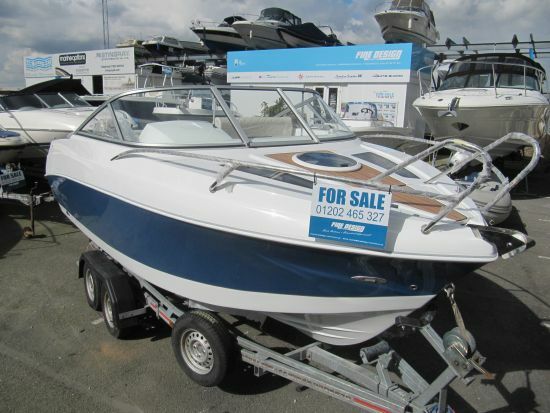 New in stock 2015 Coaster 600DC cuddy cabin sports boat, ready to rig with your choice of engine. Presented in Saphire blue with Ivory quilted hard wearing upholstery and contrasting blue stitching, Full teak effect (no maintenance) deck, transom shower, sink, teak picnic table, convertible sundeck, reversible twin co-pilot seat with fully adjustable helm seat, upholstered utility store, ample cabin and aft locker storage, full winter cover. 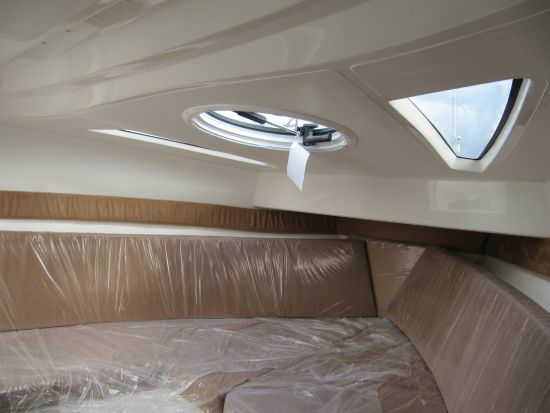 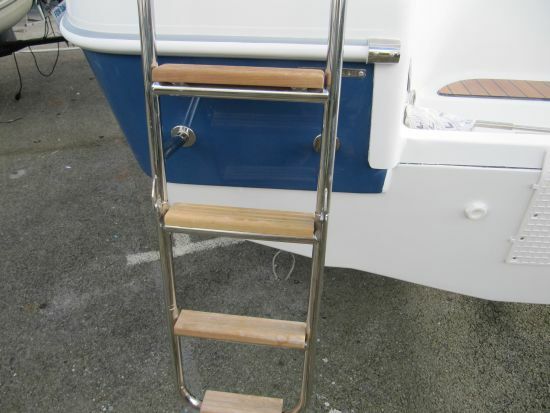 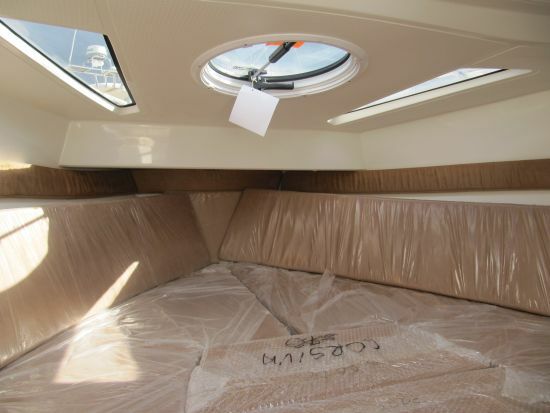 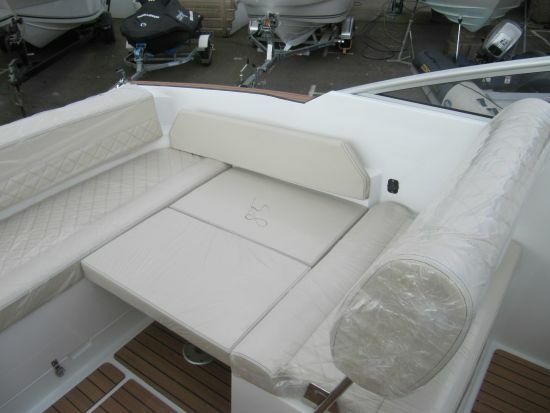 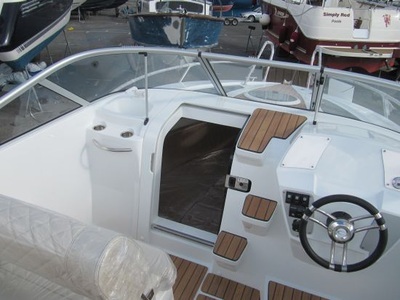 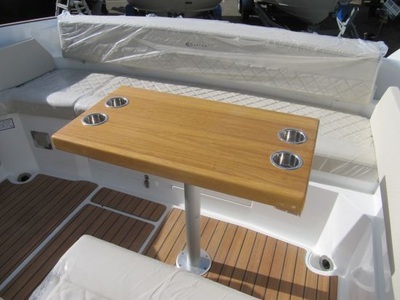 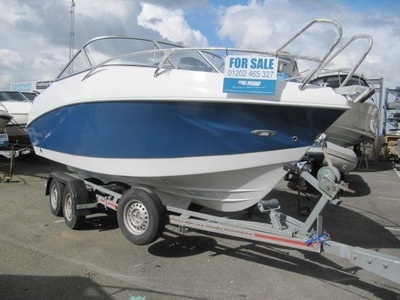 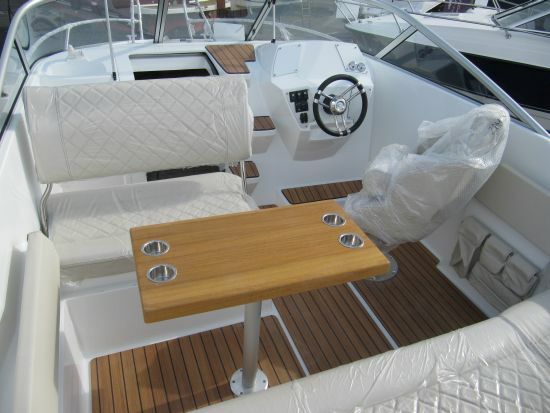 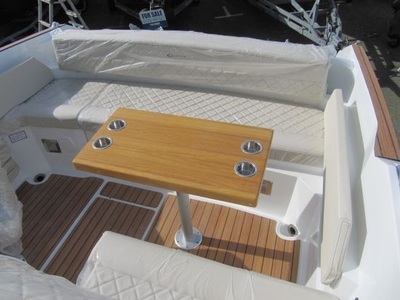 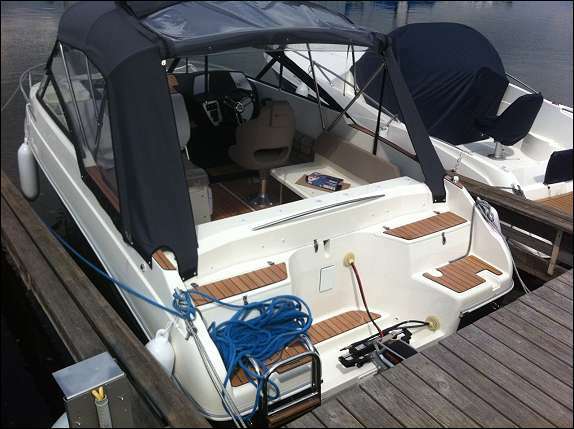 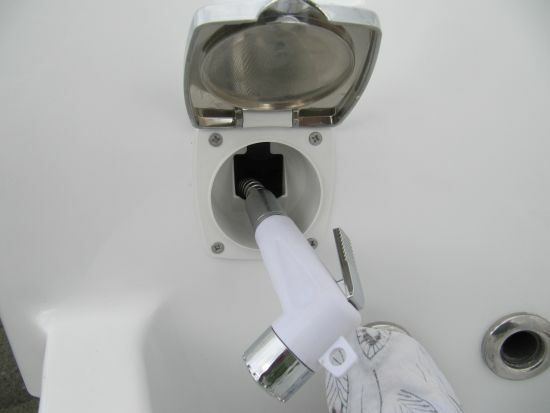 Price shown is the boat only price with the previously mentioned options already fitted. 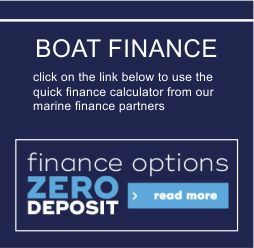 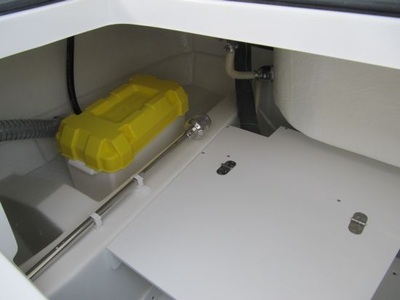 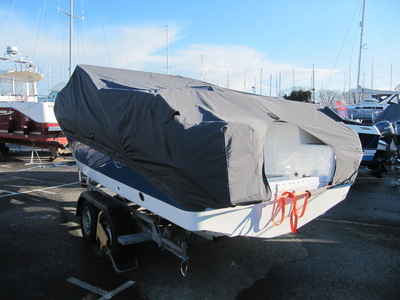 Further options include; 12v cooler and marine BBQ, camper cover with windows (full head height), shorepower, waterski system, full nav and entertainment pack, plus much more. 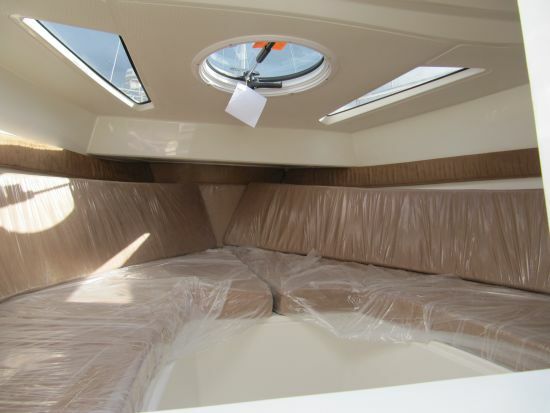 The cuddy cabin sleeps two in comfort with round vented hatch and recessed skylights. 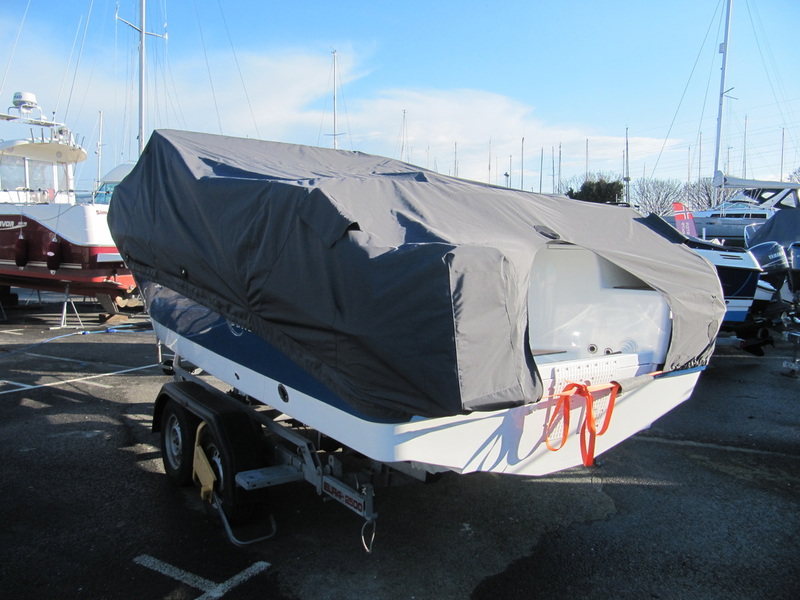 Shes ready to view and rig with your choice of outboard power here at our premises in Poole. 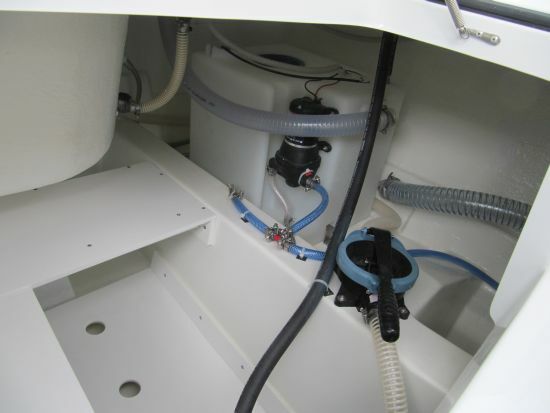 Fine Design Marine are the UK distributor offering unbeatable factory direct pricing with full warranty and main dealer backup. 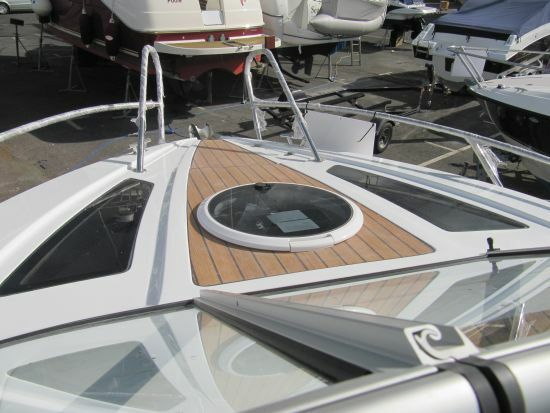 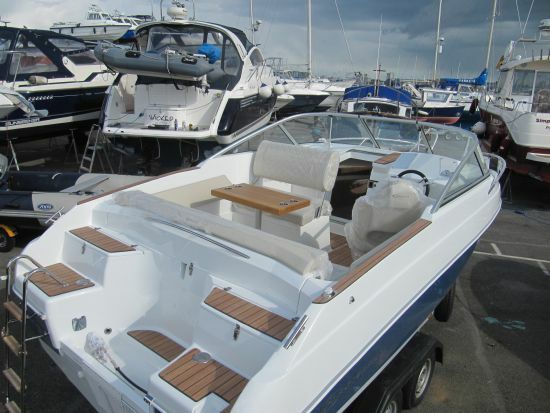 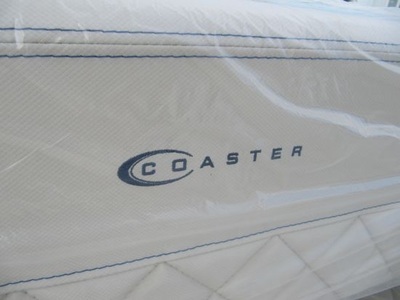 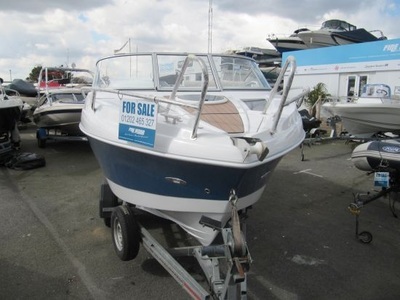 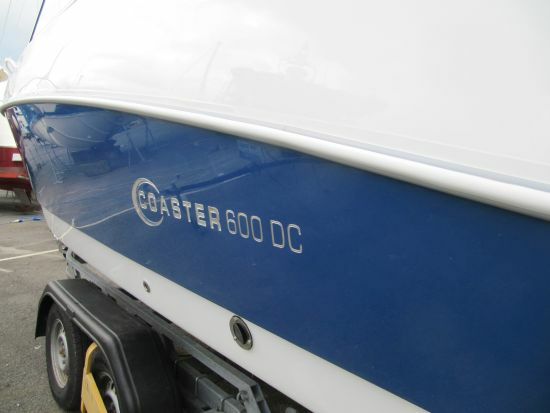 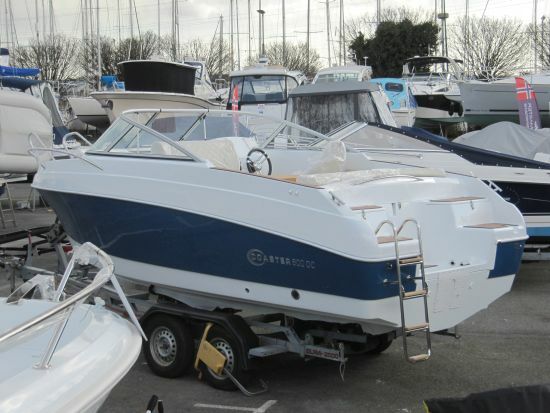 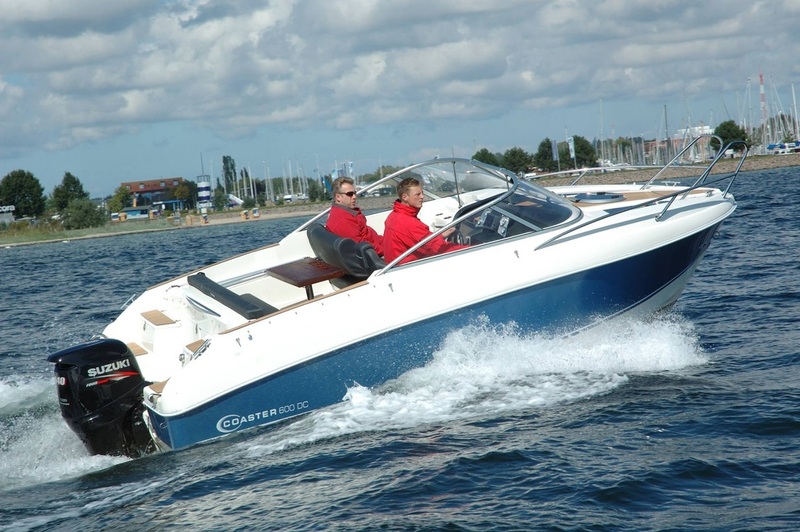 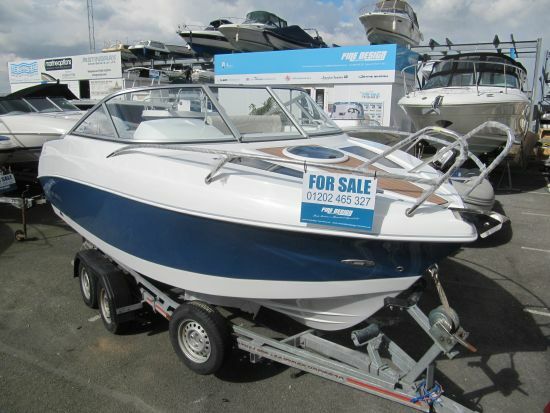 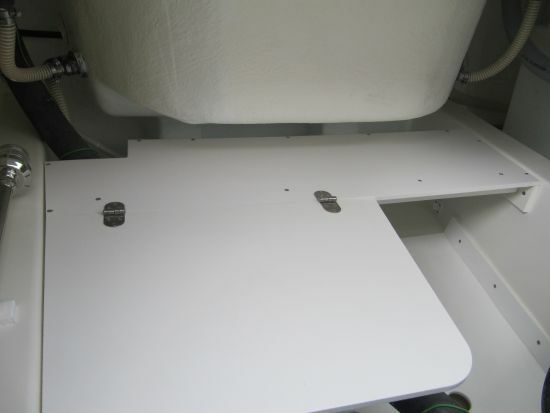 Visit coaster-boats.co.uk for further details or call us on 01202 465 327 to arrange an appointment to view. 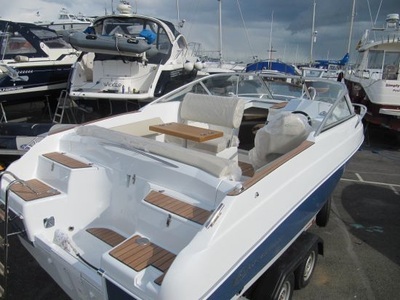 The Coaster 600 Cabin sports boat is the perfect family weekender, with a comfortable cuddy cabin that sleeps two adults, optional chemical WC, sink, 12v cooler, marine BBQ, convertible dinette to sunloungers, full head height camper cover, shore power, lots of storage capacity. 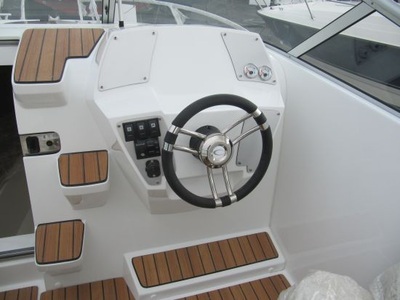 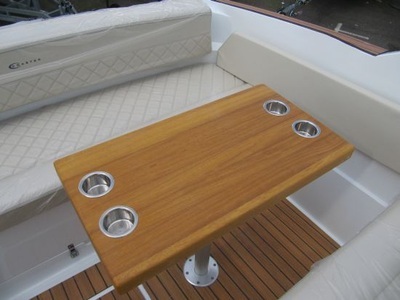 The boat features deep V hull and high freeboard with a deep cockpit to ensure those on-board a safe dry ride. 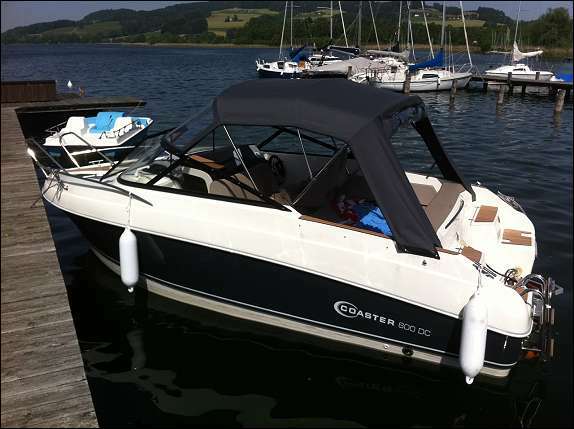 She has the ability to cater for a diverse range of uses – A competent sports fisher, cruiser and water sports boat all rolled in to one. Fine Design Marine are the UK main distributor and offer unbeatable factory direct pricing.